Lady Gaga continues her constant crusade of kindness, this time in partnership with Staples, becoming a "substitute teacher" for a group of students at a school in Los Angeles. The pop superstar and frequent contributor to the brand suddenly appears infront a high school group with a dual purpose: to foster a positive and accepting environment for young people and launch a fundraising campaign for its "Born This Way" and DonorsChoose.org, which helps teachers pay for classroom projects and supplies. Despite being one of the most emblematic series that has produced NETFLIX, and have an international reach hooking users from all over the world, Narcos, the series that tells the exploits of Pablo Escobar and reflects the culture of Colombia had a slight problem which gave rise to a new collaboration between brands. During and after the first season social networks showed that users started to learn the predominant language of the serie in order to understand the arguments. 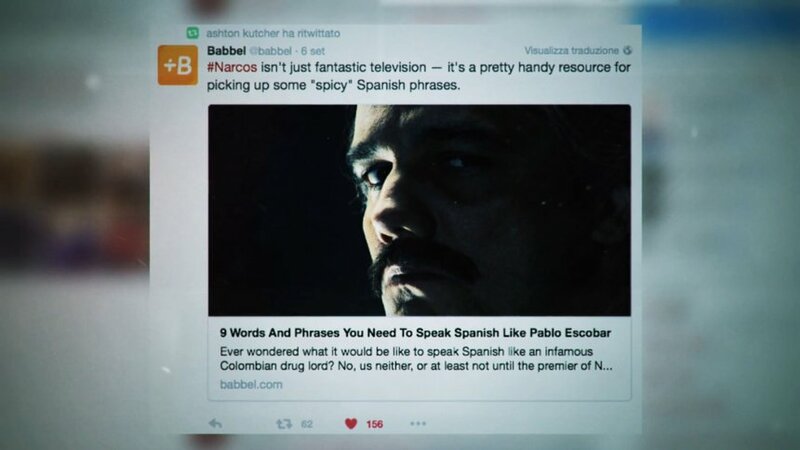 Taking advantage of this, NETFLIX and Babbel, the leading language teaching application, created a Spanish lesson inspired by the world of Narcos. Available in six languages (French, English, German, Italian, Portuguese and Swedish), people from all over the world were able to start learning Spanish. With this more than 100,000 users undertook their first Spanish class using Babbel. Focus in promoting the country and the principle of "freedom to roam", The Swedish Tourist Office, Visit Sweden in collaboration with the popular platform of rental of spaces AIRBNB enlisted to rent the whole country. The idea is that people do not need to book accommodation to visit Sweden, as they can freely access to any of the publicly owned land. Through a series of specific places suggested in the advertisement, the campaign shows us the splendor of the country inviting us to know it. The initiative to collaborate in this way with Airbnb is designed to promote Sweden as a destination through the power of the Airbnb community. 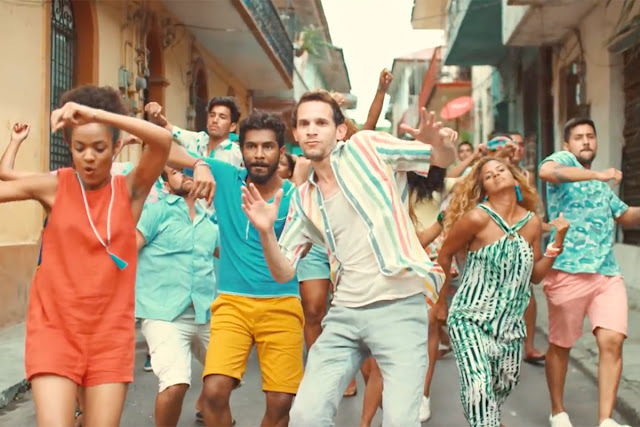 The summer has arrived and Bacardi is in tune with its new campaign addressed to all those young people who want to be free. Set in a Caribbean city and with a sticky rhythm and collaboration of DJs Major Lazer, the brand sends a message to break the routine and achieves an excellent execution by using "Boomerang" an Instagram tool to make video loops. 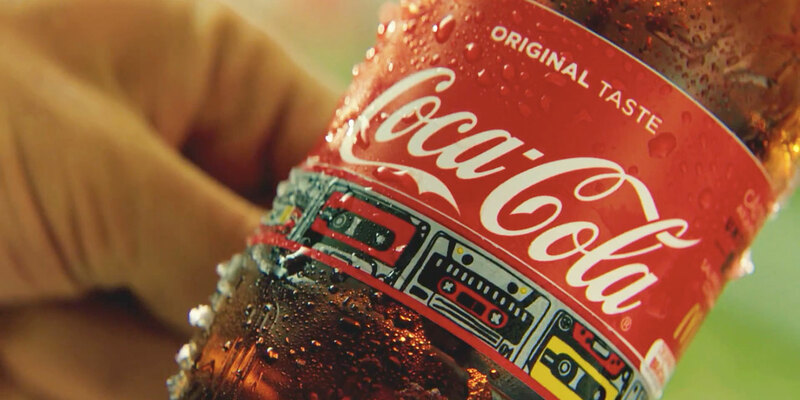 It is already common, the most important brands like Coca-Cola are jumping into the world of music to get closer to the youngest. That's why Coca Cola arrived in Romania, transforming the label of its bottles into bracelets that would give access to the most popular music festivals such as the Unilold Festival of Transylvania, recently named Best European Festival. The 'Festival Bottle' managed to increase sales of the drink and place the bracelets as a fashionable item among this audience.